A program helping three million Australians affected by financial exclusion has completed its first phase, with the backing of 30 organisations across the government, business, academic and community sectors. A Big Issue magazine vendor who has been helped by the FIAP program. Financial exclusion occurs when people are severely or fully excluded from financial institutions and their banking and insurance products, which can lead to poverty and vulnerability to predatory lending practices. Australia committed to improving financial inclusion in 2015, by agreeing to the G20 Financial Inclusion Action Plan and the United Nations’ Sustainable Development Goals. As a result, the federal government appointed Good Shepherd Microfinance to develop a Financial Inclusion Action Plan (FIAP) program, which began in collaboration with 12 organisations in 2016. There are now 30 organisations across multiple sectors committed to the FIAP program, including the big four banks, AnglicareSA and the Queensland government. Good Shepherd Microfinance’s general manager – advisory, Dr Vinita Godinho, told Pro Bono News that the first phase of the program was now complete. “Our goal in phase one was to co-design a program like this from scratch, and then work with organisations from the business, government, academic and community sectors to prove that it works,” Godinho said. “We will be launching the action plan of 30 organisations who have committed to almost 600 practical actions that they can take to improve inclusion. We’ve also done an evaluation of the outcomes of the first 12 organisations… as well as a quality assurance. Godinho said that financial exclusion was a worldwide issue. “Financial exclusion is actually a global phenomenon, it’s common across the whole world,” she said. “In developing countries financial exclusion means you don’t have access to a bank account, but in the developed countries like Australia, America, very large parts of Europe and the UK, financial inclusion means lack of access to safe, affordable and appropriate products and services from mainstream providers. She explained that the FIAP program was about working with different organisations to understand their role in combating financial exclusion. 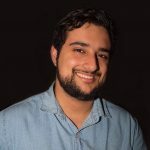 “The very premise of the Financial Inclusion Action Plan is to work with organisations from very different sectors, so that each one of them understands their own role in promoting financial inclusion and then taking practical actions to realise this within their own sphere of influence,” Godinho said. One such organisation is Bank Australia, which recently started running budgeting and saving workshops with Big Issue magazine vendors across the country. They held two workshops in Brisbane and one in Adelaide, to provide useful tips to help vendors manage their money. 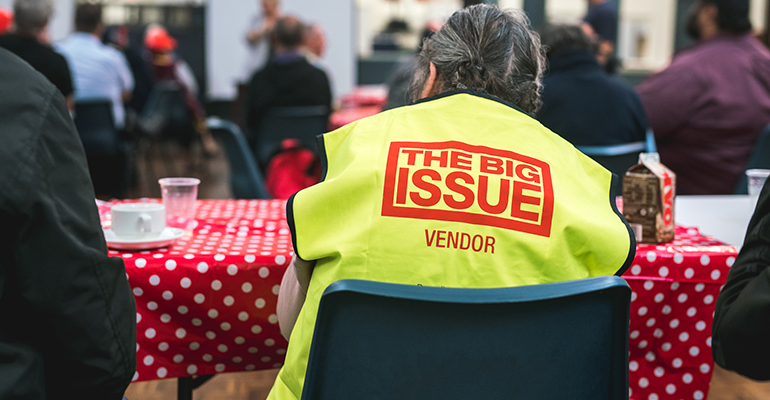 Matt Stedman, The Big Issue’s vendor support manager in Adelaide, said these workshops delivered useful information for vendors in an accessible way. “Bank Australia facilitated a brilliant workshop for eight of our vendors in Adelaide,” Stedman said. Godinho said that collaboration was “the glue that [will] make the program work”. “For us to be successful and achieve our long-term ambitions, we must collaborate across all the sectors, so that the excluded people are actually able to achieve the change that we want to see,” she said. “Collaboration is a must. We could have worked with all these organisations one-on-one, but that would have been a waste of time, effort and resources. By having them all at the table at the same time… we give them opportunities to come up with social innovation. She added that the program showed how financial inclusion was everyone’s business. “Everyone has a role to play, and we have demonstrated that anyone can play that role should they desire to do so,” Godinho said.